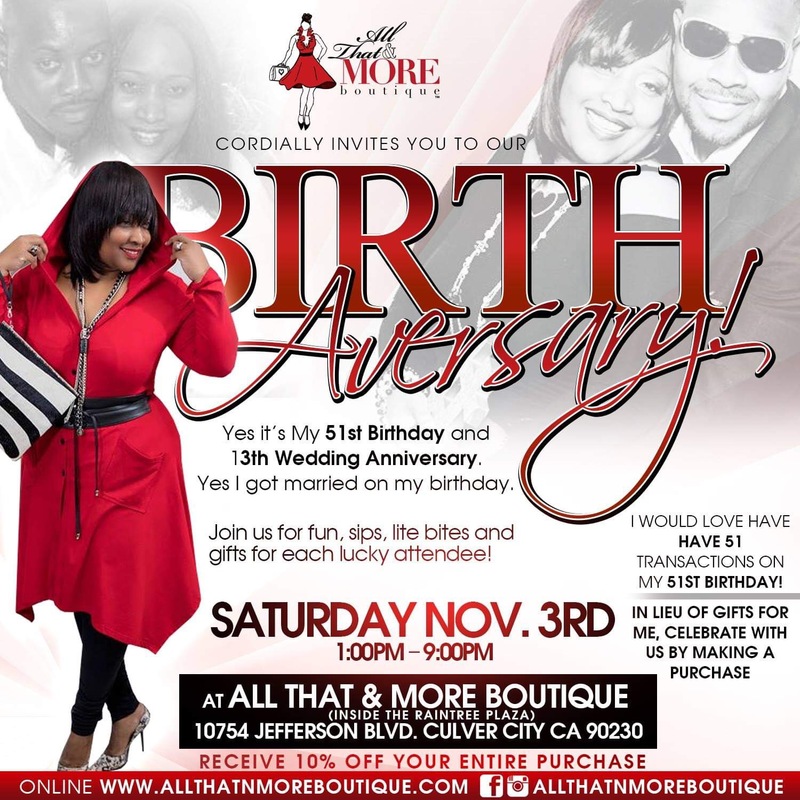 We are getting together at All That & MORE boutique with food, drinks, and gifts for each lucky attendee! We want to celebrate and honor our family, friends, and clients. In lieu of gifts for me, I would like everyone to come out and buy yourself something from our boutique on my BirthAversary! You will be entered into a drawing with each purchase. We have received gifts to raffle prizes from designers you have come to love! You don’t want to miss this celebration! Bring a friend and you will receive a $5 gift certificate when they make their first purchase! I would love to have 51 transactions on my 50th birthday!